In the PETROBOT project, robotic solutions are developed for the internal inspection of pressure vessels (FAST platform, BIKE platform and Snake arm) and storage tanks (tank robot). 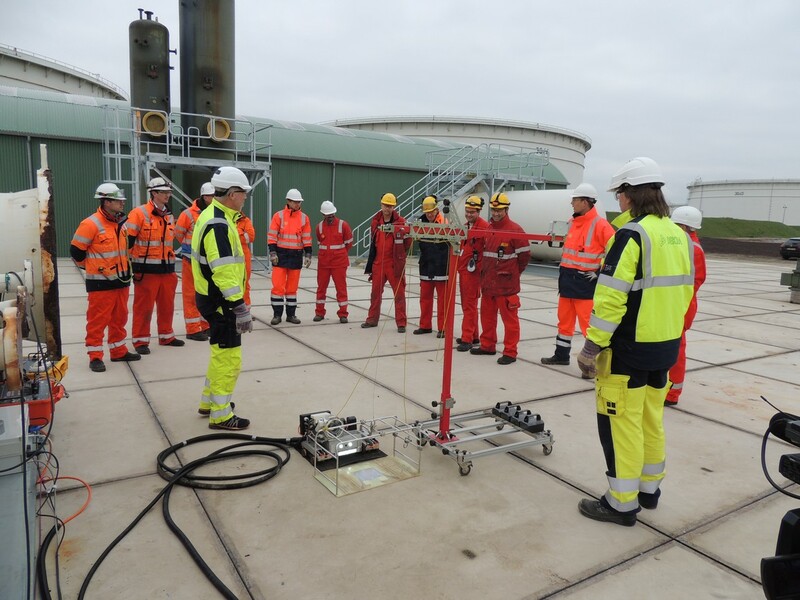 The FAST and BIKE platforms and the Snake-arm robot were tested in 4 different pressure vessels at Shell Europoort. 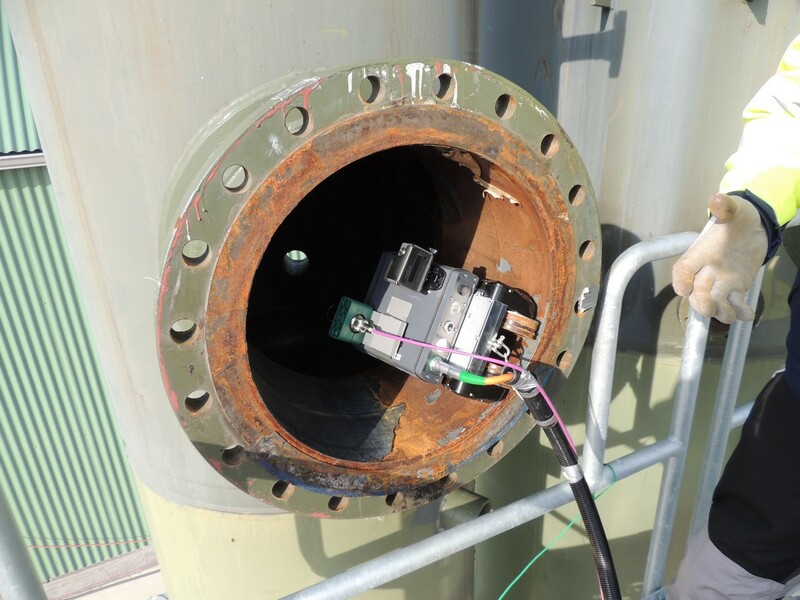 The objective of these trials was to deploy the robots, mounted with NDT tools (camera, profilometer, eddy current and UT), in the pressure vessels and assess the functionality of the robots. Several aspects related to safe deployment and retrieval of the robots through side and top manway in horizontal and vertical vessels were tested. All the robots were able to enter in all types of vessels and demonstrated an acceptable level of operational readiness. In addition, a real field evaluation of the robots was done at Shell Pernis late 2015 and the inspection results from the robotic inspection are being evaluated. 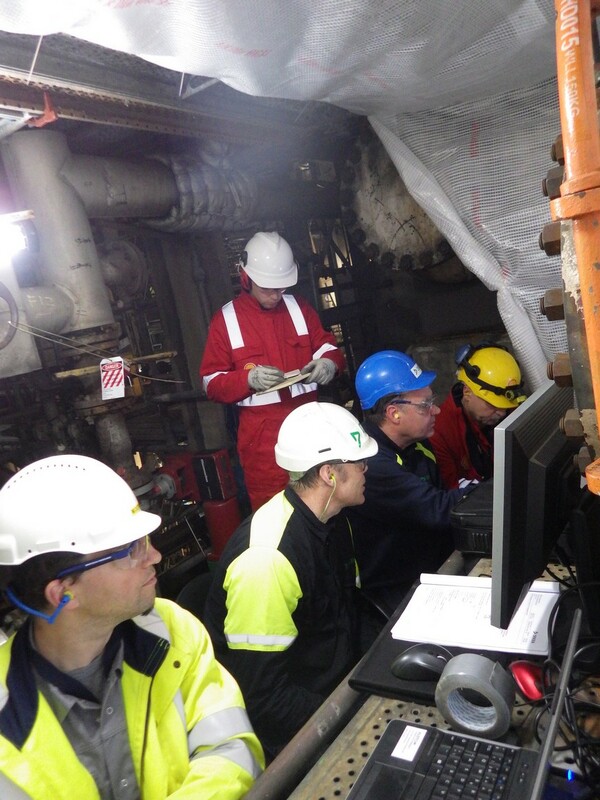 The trials at Shell Europoort prepared the robots for the field evaluation and also helped to validate procedures for deployment. 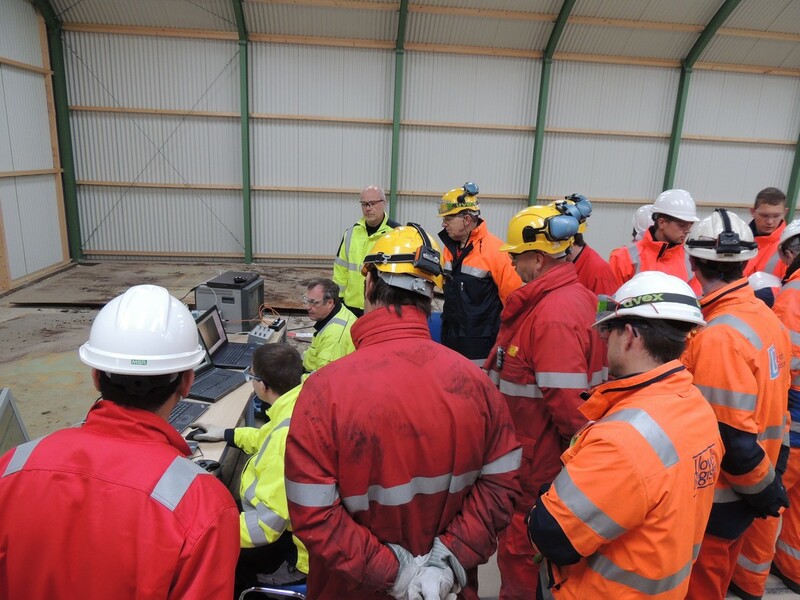 During the trials, a demonstration was also arranged for the Shell Pernis inspection team, Lloyds Register and other PETROBOT members, and a positive feedback on robotic inspection capabilities was received. With respect to the end goals of the PETROBOT project, these trials were a big step in evaluating performance of the robots in real pressure vessels. 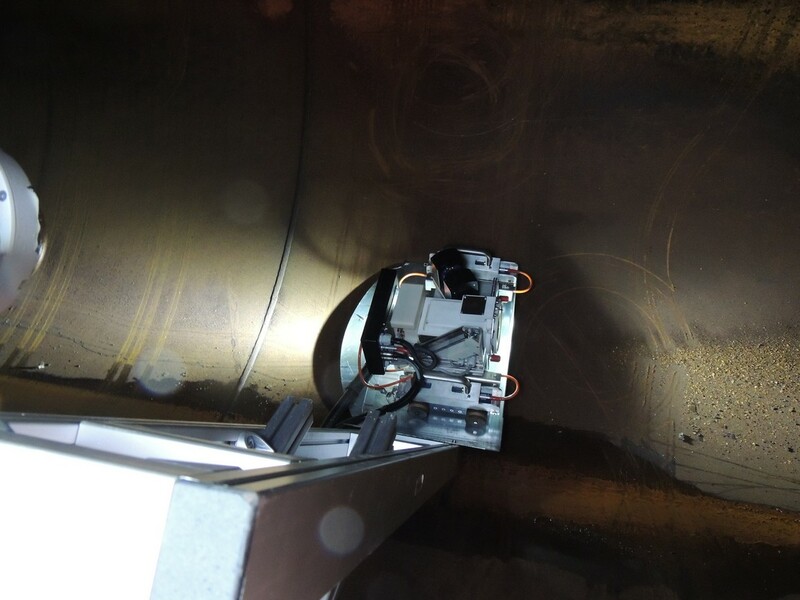 The main value drivers for robotic inspection are avoiding human entry in confined space, reducing the time and costs for preparing vessel for human entry and enabling a high quality, consistent method of inspection. 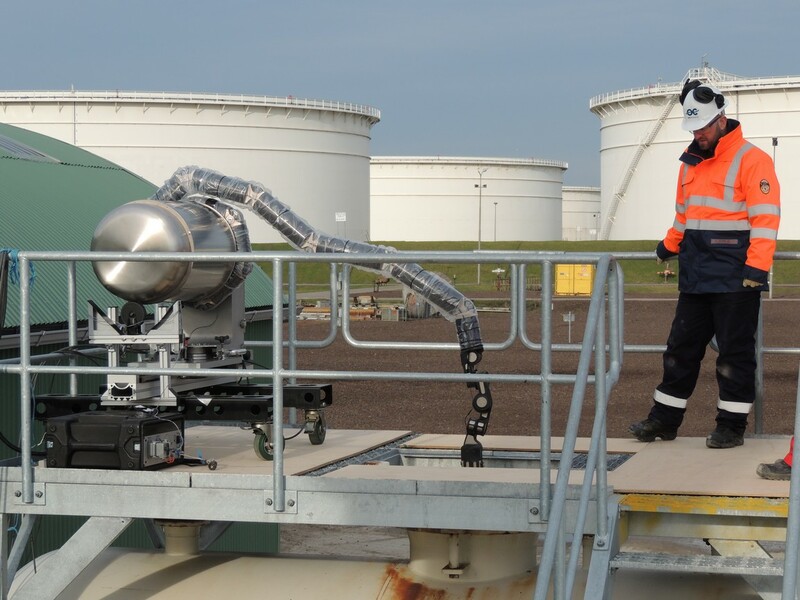 Several of PETROBOT members participated in the Shell Europoort trials, namely Shell, Dekra, Alstom Inspection Robotics, OC Robotics, Innospection and Quasset.